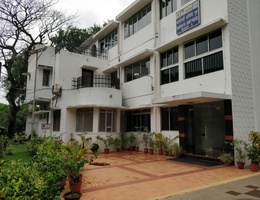 Dr. B. K. Das, Director, ICAR -CIFRI and Mr. J. B. Dash, Addl. 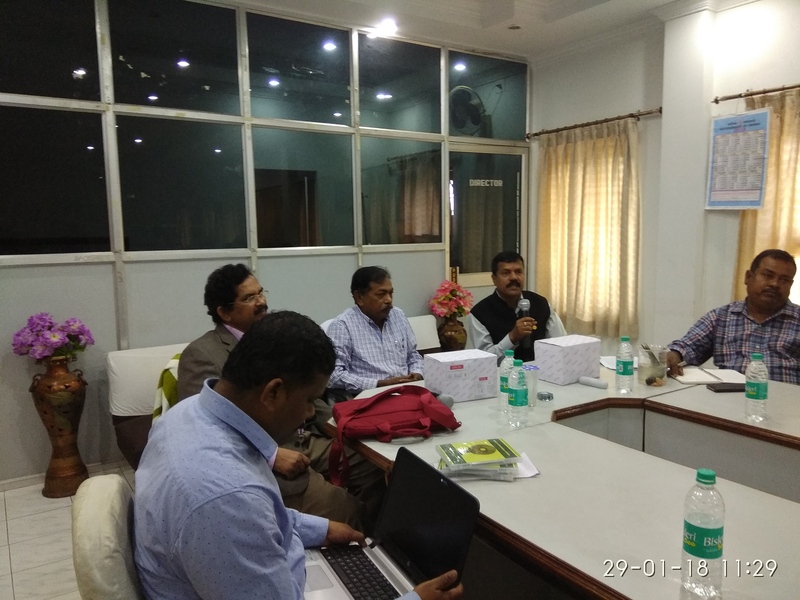 Director, Directorate of Fisheries, Odisha inaugurated the hands on demonstration on “Detection of formalin adulteration in fish” for the state fisheries officials of Odisha at Directorate of Fisheries, Cuttack on 29th January 2018. 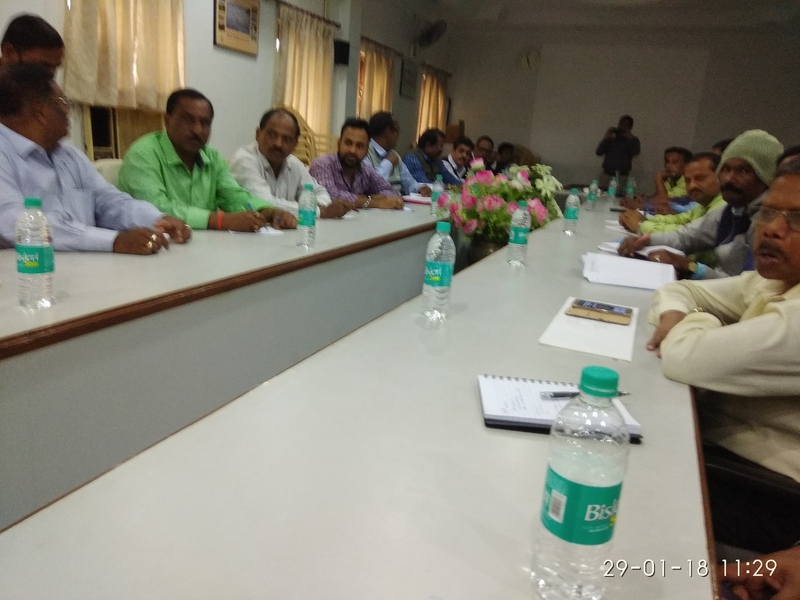 Mr. D. Bhanja, JD (Inland) and Mr. Subrat Das, DDF Marine and the officials of World Fish were also present in the programme. ICAR-CIFRI has developed a formalin detection kit “CIFLIN” to detect the formalin adulteration in fish. The consumption of formalin adulteration food can cause stomach pain, vomiting etc. Formalin is also a potential inducing chemical for cancer. So, formalin adulteration in fish is a serious issue and its detection is important. The use of formalin as a preservative in fish should be avoided as it is having carcinogenic effect. CIFLIN - The kit developed by ICAR-CIFRI can detect the formalin adulteration in fish. 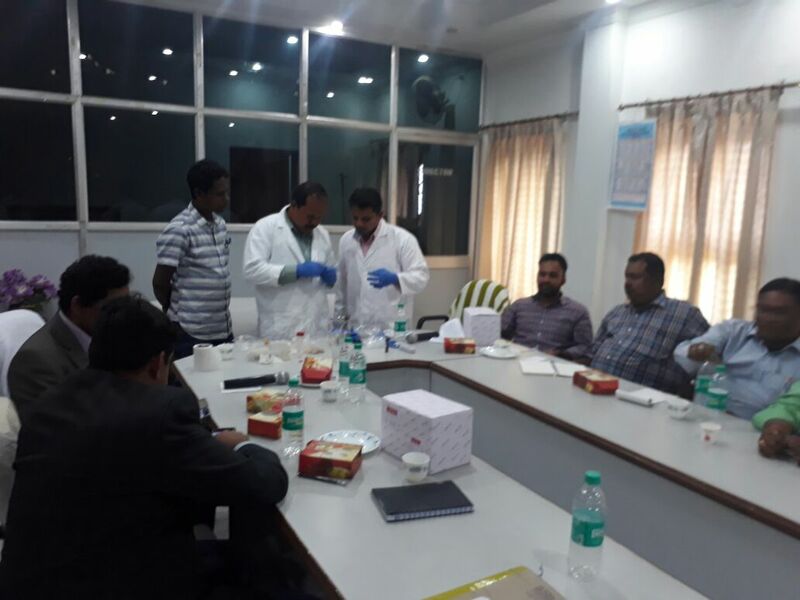 Dr. B. P. Mohanty, Dr. P. K. Parida and Dr. A. Mohanty demonstrated the use of formalin detection kit of ICAR-CIFRI and also provided hand holding support to the state fisheries officials to detect the formalin adulteration by using the kit “CIFLIN”. 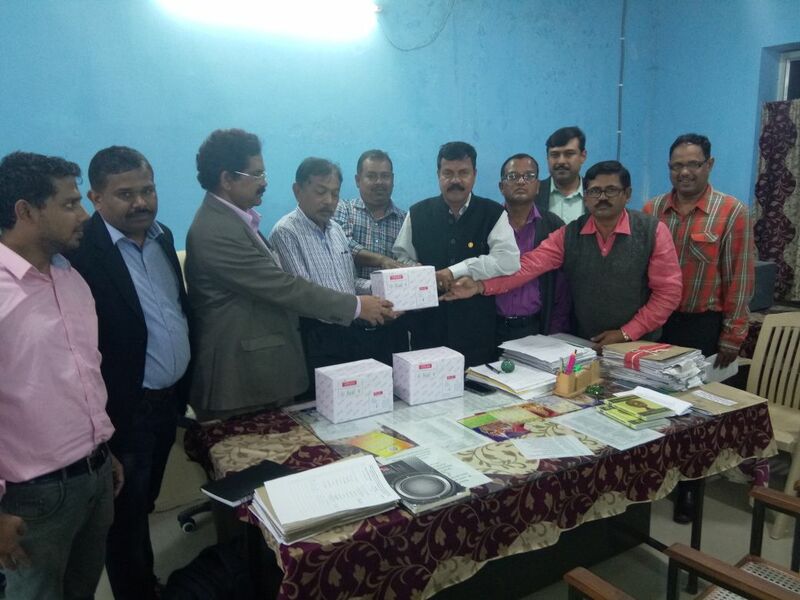 Director, CIFRI handed over the 3 nos of detection kit to State fisheries, Odisha. Around 100 samples can be tested with these kits. ICAR-CIFRI has also handed over the e-atlas CD and demonstrated it’s operation. 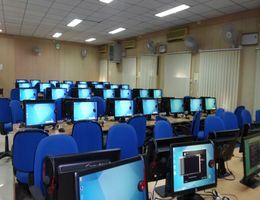 This is a part of the joint venture of ICAR-CIFRI and Govt. of Odisha in Open water fisheries development.